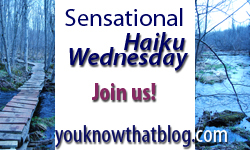 It's that time again - Sensational Haiku Wednesday! Are you tired of it? I just love it! My one complaint about poetry is that I hate rhyming! I hate rhythm. (Perhaps because I don't have any?) But a haiku? A haiku challenges me to say in 17 syllables; no more, no less. For a woman who tends to run at the mouth, this is a good thing. 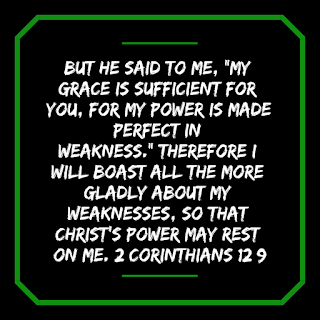 This week's theme was FORTITUDE. To be honest, I didn't know what it meant, so I had to look it up. According to FreeDictionary.com it means, "Strength of mind that allows one to endure pain or adversity with courage." I'm not sure my haiku exactly meets the definition, but to me it's fortitude. Be sure to pop over to Jenn's blog to read other fabulous haikus! Where is perfect family life? That was AWESOME! I can't believe you were able to make it so deeply meaningful and still follow the rules. Next week's is a break for everyone in it's simplicity. I know we all have joys in our lives to expound upon! I set my blog to moderate because I read on another blog that the sure-fire way to kill followers is to have a capcha. I just figured out how to moderate! Ha! Slow learner! @Thom, thank you very much. I'm glad you read it as I intended. @Jeanie, thanks so much! I can't wait to see what you're wearing this week! @Jenn, thanks lady. I appreciate that. Beautiful story, glad it had a happy ending! This is a great series! Thank you for sharing!